Provisional Tax: What Is It And Why Do You Have To Pay It? 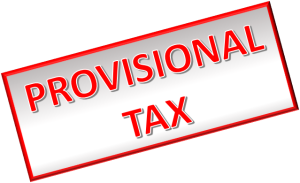 Provisional tax is an interim tax payment made during the financial year. The principle underlying interim tax payments is that tax should be paid as income is earned. If you are a provisional tax payer, you will most likely make three provisional tax payments during the financial year on 28th August, 15th January and 7th May for a 31st March balance date. You can also choose to pay twice yearly to align with six-monthly GST periods, or more than three times a year if you use the GST ratio method and have a monthly or two-monthly GST period. Use of money interest (UOMI) is charged by the IRD on underpayments and paid out on overpayments made during the year. The threshold for becoming a provisional tax payer is $2,500 of residual income tax (RIT). As companies and trusts were previously excluded from the UOMI safe harbour exclusion, this meant that even if the entity was not a provisional tax payer last year or in fact it did not exist last year, interest would be charged on underpayments where the current year’s RIT was over $2,500. Safe harbour from UOMI – this was previously (2017 and prior financial years) set at $50,000 of RIT for individuals. This has been extended to $60,000 of RIT for all entities for the 2018 financial year onwards. UOMI has been removed from the first two provisional tax instalments for taxpayers using the standard/uplift method, where payments required by the IRD (based on the previous year’s income) are made by the due dates. Introduction of an Accounting Income Method (AIM) for smaller taxpayers who use an approved accounting software. AIM becomes available from 1st April 2018 for the 2018/19 and later tax years. Allowing a closely held company to pay provisional tax on behalf of shareholder-employees to remove their personal provisional tax requirements. Why Are Tax Payments So High In The Third Year Of Business? Where provisional tax has not been paid during the first year of business, a business can be hit with two years’ of tax payments at once. In the second year, the provisional tax payments are paid during that year based on the first year’s profit. However, in the third year provisional tax payments are paid based on the second year’s profit, and in addition the first year’s terminal tax is due at the start of the third year. Therefore it is important to put aside income in the first year of business to cover the tax that will be due on the first year’s profit. In saying that, knowing what your tax liability is likely to be can be difficult. Please contact us if you are unsure of your provisional tax liability, or think that you may be required to make provisional tax payments based on your current year’s income. If at any stage you are unable to meet tax payments as they become due to the IRD, please contact us prior to the payment date. We can work with the IRD to make arrangements that may help to reduce the costs of late payments, or help you to enlist the services of a tax intermediary who can help fund your tax at a lower interest rate than the IRD charges.